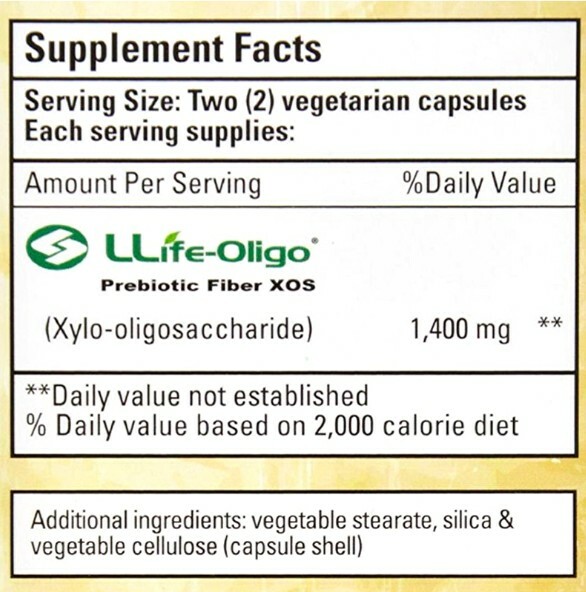 Pre-Biotic with Life-Oligo XOS (Xylo-oligosaccharide) is a supplement derived from corn cob and is produced to support gut health. A prebiotic is defined as a “nondigestible" food ingredient that beneficially affects the host by selectively stimulating the growth of helpful bacteria to vitalize the gut and support immune health. This product can also aid in healthy stool consistency and digestion, making life a little easier. Take two (2) capsules once or twice daily with food or as directed by a healthcare practitioner.